I am very passionate about massage therapy and helping people relax and feel better is my mission. I graduated with honors from Utah College of Massage in 2013 and have enjoyed every minute of being a massage therapist! I have been asked by many people, even family, why massage? I have one simple answer… I love helping people feel better and always have been known to have a gentle yet firm touch. 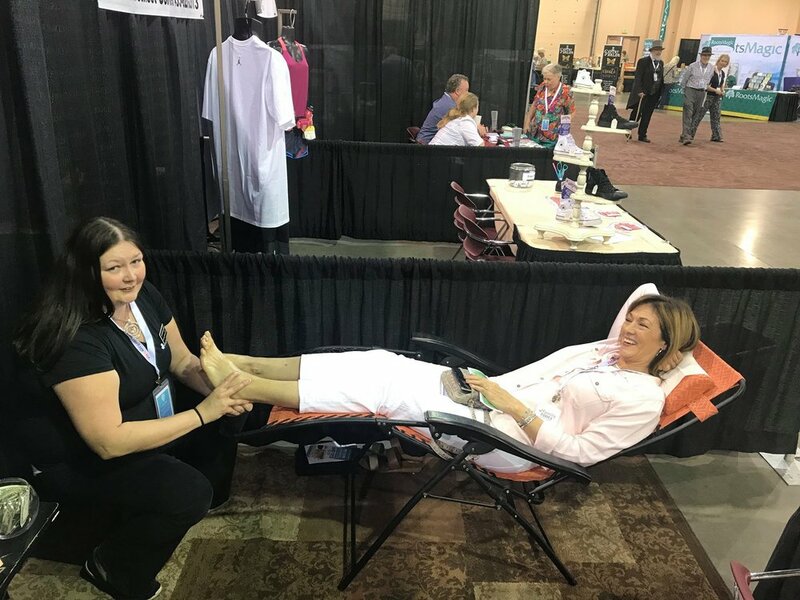 I remember when I was younger I would always give my grandmother foot massages, so for a long time I have known that someday I would be a massage therapist and here I am. I love to learn different modalities and techniques, I like to challenge myself to learn something new everyday. **Sports Massage**I really enjoy sports massage and just recently volunteered at the Iron Man Triathlon here in St George and really loved being in the energy and excitement that came when these men and women came to me for help to recover from the race. I hope to be able to continue my education in the sports massage world so I can better help athletes in preparing for their events as well as the post event and rehabilitation afterwords. **Warm Bamboo Massage** What is a warm bamboo massage you ask?? I have an answer for you… it is very much like a hot stone massage but using bamboo sticks instead. Bamboo Fusion was created by a French massage therapist, Nathalie Cecilia. This modality is known for its ability for deeper pressure and the warmth helps to melt away tight muscles and get to the deeper muscles that are in much need of some TLC. I have been certified in Bamboo Fusion by Nathalie Cecilia at the World Massage Festival 2014. **Skinny Massage** Skinny Massage is designed for those desiring their skin to feel tighter and more tonified with a session. By working on cellulitec affected areas, the circulation is improved and becomes softer and releases rigidity over time. Massage strokes help this cause and benefit in a smoother, toner appearance. **Essential Oils/Aroma Therapy** I use essential oils in most of my sessions I ether defuse it in the air or apply the oil to my client. Essential oils have a property to help the mind, body and spirit and can balance or uplift you. There are different protocols that range from different problems for example neuropathy to general pain that I use from Dr Boyd Truman which he has composed into a collection called Symphony of the Cells (SOTC). I prefer to do aromatherapy sessions as 90minute but I can do them in a 60minute session as well. Liz is available Tuesday-Saturday. Call 435-215-3480 to book with Liz Riding LMT.